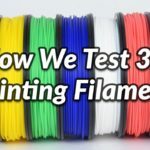 As a user of 3D printers, you may have heard of the term “heat creep.” Heat creep is the process of heat spreading irregularly throughout your hot end, disrupting the way filament must melt to extrude. This will often cause clogs, especially inside your thermal barrier tube. What’s Really Happening with Heat Creep? 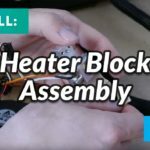 Your heater cartridge is attached to the heater block. The heater cartridge heats the heater block and disperses out from there. The heat goes up and down the thermal barrier tube, and that’s how you’re able to melt filament. The filament swells as it goes through the tube. Only once in the area of the heater block, should it start to melt. Then, it becomes molten and gets extruded out the bottom of the nozzle. But, when you cool down the extruder, the heat rises UP the thermal barrier tube. If heat successfully creeps up the tube, the filament inside will start to swell too soon inside the tube. PLA especially will stick to these narrow walls much easier and that’s how you get a thermal barrier tube clog. 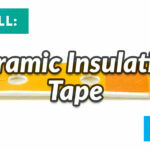 Many thermal barrier tubes attempt to counteract heat creep. The notch you may see on your tube is intended to halt the spread of heat farther up by having less metal to conduct heat. The threads of the thermal barrier tube also act as somewhat of a heat sink. The notch also denotes the spot inside the thermal barrier tube where the internal diameter changes. The diameter below the notch is wider than the diameter above it to allow space for the rapidly expanding filament to continue traveling down the tube toward the nozzle. 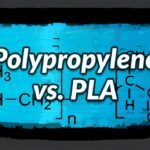 Heat creep most frequently becomes a problem after you have finished your print and the the printer begins cooling. 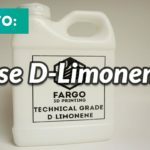 Now the expanded filament that has softened and stuck to the narrow walls of the upper part the of the thermal tube will harden and clog your extruder. These types of clogs are particularly difficult to remove because once the plastic in the top of the tube expands and cools, you have created too much mass for enough heat to creep to the top and soften that plastic again. One way to avoid this consequence of heat creep is to always unload your filament when you are finished printing. For some this may be a reasonable solution, for others it may not. 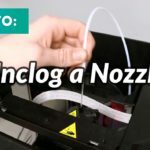 Our tip for unloading filament once it is apparent to you that heat creep has caused a thermal barrier tube clog, is to “Load to Unload.” This simply means that instead of running the “unload” script on your printer to remove filament, perform “loading” your filament instead. 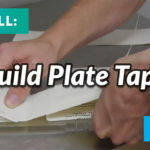 This is because if you attempt to “unload” filament, the heated and swollen portion of the strand of filament resting in the wider diameter will be forced to go up through the smaller diameter. This will probably be difficult, it may break off inside, or it might not come out at all. This does not work as well as heating the hot end normally, pushing the now softened filament down, and pulling it out. Clip off the uneven end and you’re ready to print again. 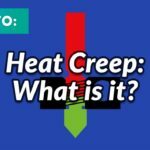 Thanks for sharing useful information on heat creep and I really like the way you have explained. Good job. Thanks for the explanation of the heat creep. I think I got that on my Smart Extruder but my fillament jut don´t come out and it broke inside. Is there a way of taking it out? I tried “load to unload” but as it is broken inside i can´t push it nor pull it out. If you have any ideas or advices i will apreciate it a lot. 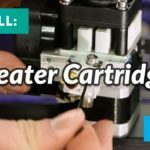 Could the heater cartridge be bad? ive had my 3d printer (a monoprice maker select v2) for a while now and have not printed anything for over a year. 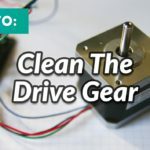 Ive tried everything to fix it, from adding new ceramic insulation tape, slowing down the print, heating up the extruder, unclogged the nozzle, and cleaned the gears, but it still will not work. It almost looks like the outer walls have a wavy pattern, and it can no longer print small objects, like its under extruding. I would like to return it, but the warranty wore off. do you have any suggestions on what is should do? Ive been using the Maker Select V2 for a few years. If you’re getting a wavy pattern on your printer (a problem ive have if we’re thinking of the same thing) then try slowing down the outer shell speed or maybe print it with 2-3 shells. 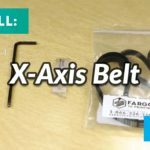 If that doesnt fix it make sure your frame is solid and the belts are tight enough.